A list of all housing projects in which foreign organisations and individuals are not allowed to make purchases is being publicised by local authorities at the urgent bidding of the government. This breeze of transparency is considered a positive step towards encouraging foreigners to purchase accommodation and participate in the Vietnamese real estate business. According to the Housing Law 2014, which officially entered into force in 2015, all foreign organisations or individuals with a valid visa are eligible for homeownership in Vietnam. However, foreign ownership is limited in special areas, excluding purchasers from land plots directly related to the army, national defence or national security. The Ministry of Construction (MoC) has stipulated that all information related to foreign homeownership must be made public and posted on the web sites of provincial departments of Construction. MoC also stressed that if any foreign organisation or individual faces problems in the pursuit of owning a house in Vietnam, they can send their concerns to the ministry to receive prompt assistance. Foreigners have applauded the government’s active participation and lauded the sentiment to create better conditions for foreign homeownership in Vietnam. 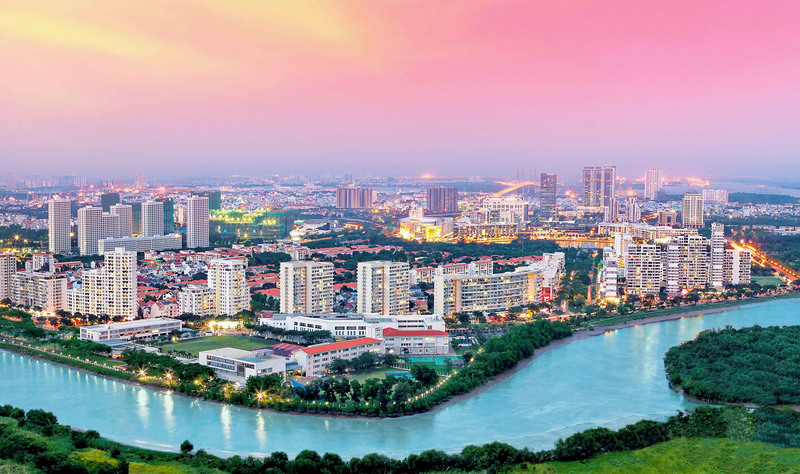 According to Stephen Wyatt, country director of JLL Vietnam, in order to attract foreign buyers, the country needs a clear and transparent system with ample information available to the public, preferably via a website. “It is vitally important that all information is updated on a regular basis, not just for existing projects, but also for all new projects as soon as they are launched,” Wyatt told VIR. “We always advise foreign buyers looking to invest in Vietnam to carry out full market research and due diligence to ensure the project has all the necessary licences and approvals,” he added. Wyatt added that he is seeing considerable interest from buyers from Singapore, Korea, Taiwan, Hong Kong, Malaysia, and China. While the numbers are still relatively low compared to the size of the local market, with a clear and transparent system he expects to see the numbers of foreigners to grow over the coming years. Vietnam, according to Wyatt, offers foreign buyers an opportunity to enter the market with far less capital than they would need in their own countries. For example, a two bedroom apartment in District 2 of Ho Chi Minh City could cost $200,000 whereas a similar apartment in Singapore or Hong Kong can easily cost $1 million and over.